Few producers--in California, in the world--have changed their reputation quite as dramatically as Blackstone has in recent years. 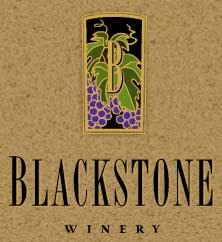 For a long time, especially among the so-called wine cognoscenti, Blackstone was known more for its volume of production than for any particular excitement in the juice department. But now, with an enthusiastic, wildly talented winemaker at the helm and a brand-new attitude with its Reserve and Limited Release bottlings, Blackstone is turning out some truly remarkable wine. 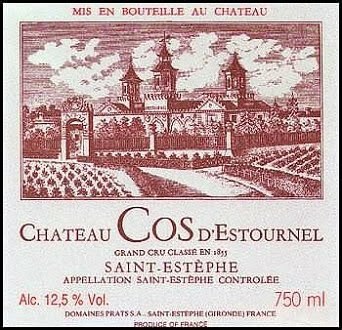 A few weeks ago, I attended the first 2010 meeting of a tasting group I’m a member of. The theme of the evening was Merlot, and I brought along the Blackstone Merlot Reserve 2007 in order to make a point: That a California producer that everyone had heard of a million times before was more than deserving of a second look. Turns out it was a smart move: The 2007 Reserve was excellent, its round fruit supported by a sense of structure that too-few California Merlots provide at this price point, a nicely integrated sense of oak that never overwhelmed, and hints of chocolate, purple berry and plum fruit that sang with a real sense of clarity and brightness. For me, though, this was no surprise: I had a chance to enjoy lunch in Philadelphia last summer with Gary Sitton, Blackstone’s winemaker, and came away supremely impressed with what he is doing: From his relationships with growers to the fruit itself to the way he is allowing terroir to shine through, Sitton is definitely one of the rising stars in the California wine world. Which brings me to the Blackstone Limited Release Merlot Sonoma Valley 2007, a wine that, though it’s only available online through Blackstone or at the winery itself, is a fabulous demonstration of the potential--and achievement--of this producer that more than deserves the accolades it’s finally receiving among so-called serious wine people. The color is likely the first thing you’ll notice: It’s not an opaque, inky black but, rather, something more translucent, more delicate, more red than expected. The nose is beautifully layered with both darker aromas of plums and mushrooms and lighter ones that are reminiscent of ripe strawberries, currants, pomegranate, and red cherries. There are also hints of cinnamon, cocoa, and gently charred oak hovering around in there, adding a whiff of the exotic without crossing the line into overly oaky. The palate is far more high-toned than the nose lets on, with singing flavors of tart cherries, slightly perfume-y brown spices, sage, and a texture that’s more silk than velvet in its elegance and litheness. The tannins sneak up on you, providing a sense of structure without drying the juice out too much. Combine those fine-grained tannins with the acid--all bright and dancing--and this is a wine that promises 7 - 10 years or more of evolution. In fact, I’d hold on to any bottles you have for at least another 3 years; it’ll be worth the wait. 85% Merlot, 7% Cabernet Sauvignon, 6% Ruby Cabernet, and 2% Petite Verdot. This is the new Blackstone. This is delicious. Tomorrow is Earth Day, which, it seems to me, calls for some sort of celebration. And I cannot think of a better way to do so than by opening up a bottle of Pommery's new POP Earth Brut Champagne, a wine that proves yet again that what's good for the environment is often great for the palate. The Champagne community in general, as I’ve noted here several times before (type "Champagne" into the search box), is leading the way toward better, smarter practices, from vineyard to winery to method of shipping and beyond. And, as a result, their wines are not only having far less of an adverse impact on the planet, but, it seems to me, they also just keep on getting better and better--a fairly mind-boggling thought for those of us who already love Champagne. Pommery POP Earth is a great example of the benefits of these efforts. From an environmental standpoint, the team at Pommery is doing everything right: The bottle is lighter than the old standard one (they’ve actually been using a lighter bottle since 2003); the labels on the bottle are partially made of recycled paper, and are printed with water-soluble ink; sustainability has been accorded great importance to their vine-growing philosophy; and more. And the best part is that all of these efforts are in the service of a Champagne that is utterly delicious. It leads off with a nose of deep, detailed brioche and a hint of mushroom and sous bois, but these are given lift by apricot, lemon oil, and the barest intimation of licorice. There’s also evidence of chalk and warm brown sugar delicately weaving their way throughout. The palate possesses a vaguely glycerine texture, something almost creamy, but it manages to stay light on its feet and lively throughout. And please: Don’t let the “POP” name fool you: This is finely detailed stuff despite its gulpability. (And anyway, POP stands for "Product of Pommery.") The mid-palate’s fruit is dominated by grapefruit, an impression that’s heightened by the bright acidity of the wine. And the earth from the nose, as well as a sense of stoniness, find their way to the palate, too, and lead to a finish that’s a touch spicy and eventually turns in the direction of almond skin and lemon. Delicious. It’s complex, to be sure, but never at the expense of the ready pleasure it provides. And the fact that it’s made with the environment so firmly in mind makes POP Earth even better. Earth Day or any day, this is a Champagne worth celebrating with. 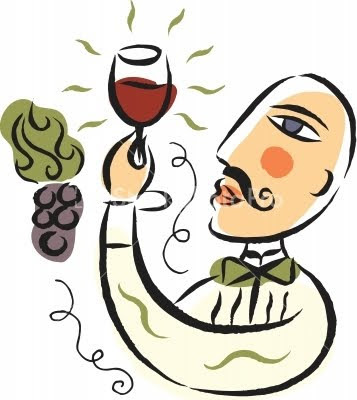 Lettie Teague, in this past weekend’s Wall Street Journal, wrote a column that addresses one of those wine issues that always seems to get discussed but that, despite all the hot and bothered rhetoric on both sides, never really gets resolved: The amount of alcohol in wine. It all began when the more-or-less standard 11% - 13% began creeping up, first to 14%, then to 15% and beyond. And now, as a result, the wine world seems to be divided into several camps: Those who rally against such richness and the those who look at a wine and judge it on its individual merits, regardless of its listed abv. I’ve written about this here before, but like so much with wine, it’s a subject that warrants occasional revisits. And Teague’s column is certainly the kind of thought-provoker that can spur on conversation. So the question is this: Are these claims accurate? And, perhaps even more central to the discussion, are these claims universal? I would tend to answer in the negative to both, since balance in wine isn’t just about the alcohol but, rather, all the different aspects of the wine that lead to the taster’s perception of it. It also has to do with what the grape variety and the place in which the grapes are grown will sustain. So while high-alcohol Sonoma Pinot Noir is more likely to be balanced than, say, a high-alcohol German one, I tend to shy away from judging a wine before I get it in the glass, no matter what variety it’s made from or where it was produced, just because of its abv: I’ve simply had too many great bottles in any number of styles to cheat myself out of the potential pleasure that a “fatter” wine might bring. In the end, my job is to consider every wine on its own merits, regardless of what the numbers might imply, and regardless of my own personal preferences. I’m always 100% open to the possibility that any bottle, on any given day, will be the next best one I’ve tasted--regardless of price, region, grape variety, and, yes, alcohol level. There’s just too much good juice out there to make judgments without tasting. 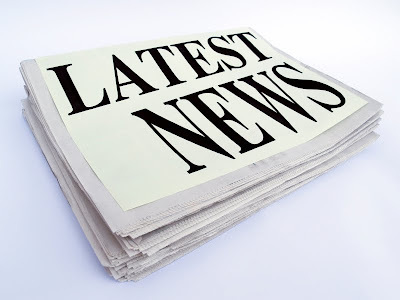 This was a busy week in the world of wine, so rather than focus on just one topic or story in particular, I thought it would be useful to offer up a handful of links that are worth taking a look at over the weekend...preferably, as always, with a nice glass of wine in hand. In Wednesday’s New York Times Food Section, Eric Asimov extolled the beauty--and gulpability--of the 2008 Riesling Kabinetts from Germany’s Mosel. The link is here. Read about them, then pick up a bottle, find a porch somewhere, and revel in the summer-like temperatures. A few days earlier, the Wall Street Journal ran a brief piece on serving temp, something that, as the writer points out, is especially important this time of year. It’s a solid refresher on how to make the most of your wine. The article is linked up right here. Finally, if you’re in the mood for something a bit denser, take a look at Mike Steinberger’s column in Slate this past week. I don’t know that I agree with his argument or not--and I wouldn’t say so either way here!--but it’s a fascinating read. Sip a Burgundy and a Bordeaux while working your way through it and deciding where you stand. The lust that most so-called Pinot people feel about their beloved grape variety still doesn’t stretch, to the extent that it should, to Austria. 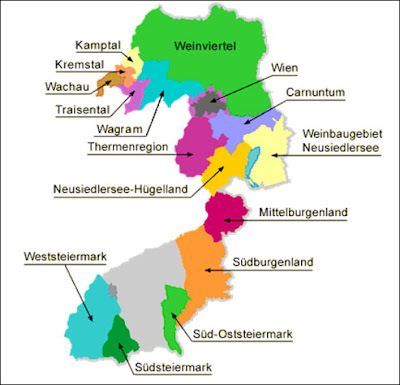 This is wildly unfortunate: Austria is home to some of the most delicious, interesting Pinots on the planet, and the fact that more people don’t know much about them is one of the great mysteries of the wine world. The same, really, could be said for the other great reds of the country, too: Zweigelt, Blaufränkisch, St. Laurent--all of these offer pleasures far, far greater than their still-niche reputation might indicate. What sets Austrian Pinot apart in particular, for me at least, is the specific place it occupies on the Pinot Noir continuum: It seems most at home somewhere between the more earthy delicacy of Burgundy and the fruit-forward lustiness of Russian River. Of course, Austrian Pinot Noir is much more than simply a stylistic middle-ground: It is, rather, a wholly unique (and at the same time wonderfully accurate) version of the beloved grape variety--utterly drinkable, capable of great nuance, and, in the case of the bottling I tasted yesterday, irresistible. The Stadlmann Pinot Noir ‘Classic’ 2005, from Thermenregion, south of Vienna, was a stunner. It started off with a concentrated, peppery strawberry nose, a hint of anise, a touch of licorice, and, unexpectedly, Mandarin-orange oil. On the palate, the silkiness of the texture stood out right away, a tactile creaminess that was balanced perfectly by the kind of acidity that you find in just-picked wild strawberries. This was complicated by cherry fruit, a hint of orange, sage, more high-toned spice, a wisp of bonfire smoke, and something seductively brambly. In other words, this is serious Pinot Noir, and a wildly successful argument for the virtues of Austrian Pinot. More people should make a point of learning about these Pinots in particular and Austrian wines in general: Their rewards are significant. But to lose sight of the good (albeit less press-covered) fortunes of other parts of the wine world is to not only limit your wine knowledge and experience, but to ultimately hedge your bets against tasting some pretty remarkable juice when it becomes available. News of 2010’s quality comes at a time when more and more consumers are discovering the range and variety of wines coming out of Australia--that they are not all made in the “critter label - fruit bomb” style that so many of the most popular bottlings embody. Rather, Australia is home to a wide range of high-quality and distinct regions whose terroirs and grape varieties can produce wines every bit as detailed and pleasurable as the best of the Old World. The trick, as always, is for consumers to be exposed to them, and to taste them with the same level of excitement and open-mindedness that they bring to, say, Bordeaux, Brunello, or Burgundy. A year like 2010, as well as its attendant good press, helps that cause tremendously. 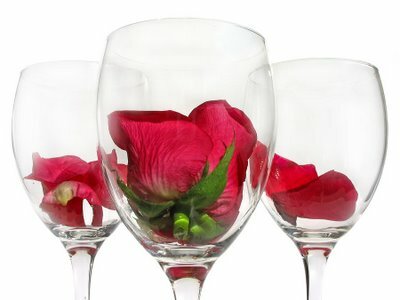 Wine Q & A With Ask.com: How Many Calories Are In That Glass? With the weather getting warmer and thoughts turning to the inevitable bathing-suit season up ahead, today is the perfect time to address the question, its answers, and the ramifications of both. So though the official answer to this question is approximately 125 calories, give or take a few, the truth is that worrying about it is unnecessary. There’s enough good stuff in there that more and more experts are saying, with confidence, that drinking wine in moderation is quite beneficial to your health. As far as the intangibles--the pleasure that wine brings to your life, the connection with the earth, the way in which it makes socializing more enjoyable--those are pretty much infinite. Summertime has arrived a bit earlier than expected this year--especially here on the east coast. In fact, it’s approached 90 degrees the past couple of days here in Philadelphia--enough to make me desperate to pop the cork on a bottle of rosé. Which is all to say that now, as rosé season is upon us, start stocking up on them. My strategy has always been to put together a nice mixed case of wines from Argentina, France, Spain, California, and Australia. I don’t limit myself to these countries throughout the season, but it’s a good place to start: A case like that one is likely to provide close to the full range of rosé styles, flavor profiles, and weights. For more on rosé, and links to some helpful articles on them, click here. And then run out and get that case. It’s hot outside, and you cannot possibly live on iced tea alone. 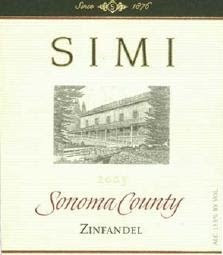 SIMI is one of those producers that’s been making good wine for so long that too many people--I'm talking about myself here--overlook it on the wine store shelves. This is, unfortunately, one of the downsides of familiarity: It breeds complacency among consumers. Even I have to admit that, though I grew up in a house where SIMI was uncorked as often as anything else, I hadn’t tasted it in several years. But the 2006 Sonoma County Zinfandel very quickly brought me back into the SIMI fold: It reminded me of exactly what it is about California Zinfandel that I love so much, and about this producer that always won me over all those years ago. It started off with a nose of wonderfully ripe wild strawberries and other summertime berries, bright cherries, a touch of sage, and the slightest hint--barely there but perceptible nonetheless--of violets. The sweetness of all that ripe berry and plum fruit dominated on the palate, but the fact that it was carried on such a lithe, silky frame rendered it amazingly fresh and bright. Those minor notes of cherry from the nose came to the fore on the mid-palate, and were backed by tannins that lent an appealing structure to the wine. It all finished with black pepper and a return to those sweet ripe strawberries: A wine brought full circle, bright and fruit-driven but not overblown, luscious yet structured, and a delicious reminder of the benefits of returning to producers who have been doing things right for so long that some of us--foolishly--had begun to neglect them. The proverbial “great year” is a slippery thing, often driven as much by a sense of promotion and marketing as by reality. And for most people--typically all but the most ardent and well-read wine lovers--the concept of a great year remains an abstraction, some quasi-mystical concept that involves often-high prices, lots of hyperbole, and a dollop of bragging rights. Once in a while, however, a so-called great year actually is one, and the wines are every bit as balanced and long-lived as they’re purported to be. Of course, top wines from legendary vintages are the result of more than just propitious and well-timed weather: They’re also products of vineyard management and winemaking that are both in sync with and geared toward maximizing the particular conditions of that specific growing season. 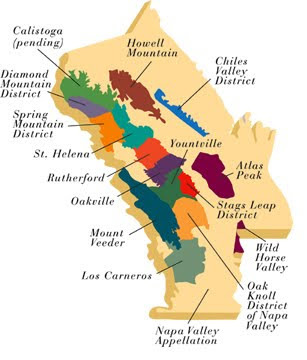 With this in mind, then, I am happy to report that all the hype surrounding the 2005 Stags Leap District Cabernet Sauvignons is spot on. I recently tasted a range of 2005 bottlings from that storied appellation, and was stunned by both their early drinkability and the long lives they generally have ahead of them. They also were true to form, possessing all the ripe cherry and dark berry fruit, velvety tannins, and exquisite balance that Stags Leap’s fans look to it for. 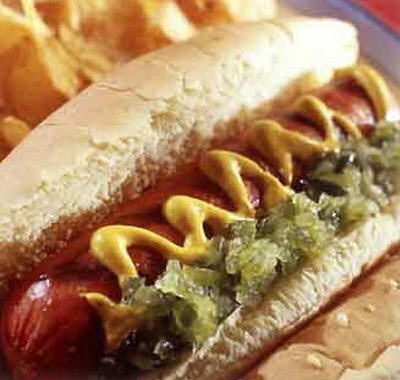 My full assessment ran this past weekend in John Mariani’s Virtual Gourmet. Click here to see the story, as well as my tasting notes for the best wines of the bunch. After that, snap up multiple bottles of anything you buy and follow them over the course of their evolution: They’re utterly delicious now, and promise to get even better in the years to come. The wine world is full of legends, bottles that tower above the more common (or, at the very least, the more commonly available) ones that most of us drink even on special occasions. Even wine lovers who have only recently caught the grape-juice bug are familiar with them: Harlan ’97, Romanée-Conti ’85, Pétrus ’89, Cheval Blanc ’47. These are the wines that cause both hearts to flutter and money to be spent a bit faster than is typically considered healthy. Rémy Martin’s Louis XIII, you could argue, exists in that lofty company. Indeed, like Martha Stewart or the union of Brad Pitt and Angelina Jolie, this legendary Cognac is often referred to by a single name: Louis, pure and simple. Which means that we’ll have to come up with an appropriate nickname for its newly released big brother, the Louis XIII Rare Cask, an astounding Cognac produced in a run of just 786 bottles from, yes, a single cask. Late last winter, I was fortunate enough to be invited to a Cognac seminar and tasting in New York with Rémy Martin’s cellar master, Pierrette Trichet. Over the course of a morning that my tastebuds are still thanking me for, she led the small group of journalists through a selection that included a 140-proof white eau de vie (Cognac’s predecessor, or, rather, its base material); an 8-10 year old Cognac; a 20-25 year old Cognac; a 40-45-year-old example; a 70-year-old Cognac that was first barreled in 1939; and, finally, the Rare Cask. What made the morning so interesting (and rewarding) was the fact that we didn’t just sample the Rare Cask, marvel at its flavor and price tag ($15,000 per bottle), and head back home. Rather, we were treated to what amounted to a master class on Cognac, one of the most famous and little-understood spirits in the world. Indeed, there should be a sense of context provided for a bottling as rare and profound as this one. And by working our way up through the evolution of examples (the notes below are a combination of both my own and the discussion of the group), our arrival at the Rare Cask was both far more educational and pleasurable. 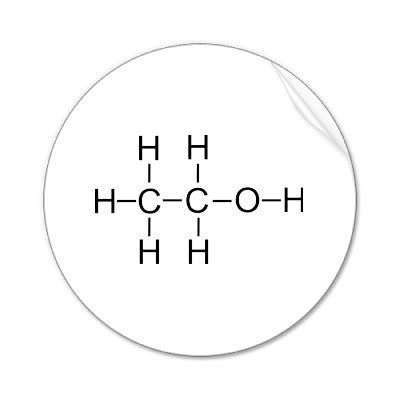 The eau de vie, at 70% alcohol, needed a bit of water for its aromatic components to come out. Once it was “unlocked,” however, pear and a surprising floral note wafted from the glass. The 8-10-year-old Cognac showed lots of chocolate and vanilla on the nose as well as a hint of pear, spice, apricot, and marzipan. It was clearly still rather young and a bit hot on the palate, and just starting to benefit from the influence of the oak. By the time we got to the 20-25-year-old Cognac, more oxidized aromas came through, as well as figs, walnuts, a hint of cream, clove, and a pronounced cookie batter characteristic that was every bit as charming as you’d imagine. Another 20 to 25 years of aging had rendered the 40-45-year-old Cognac much more Port-like in expression, its toffee, praline, and maple syrup aromas dominating the nose. The palate, however, was unexpectedly bright, with flowers, white peach, and nectarine singing beautifully. The sample from 1939 had attained an amazing subtlety, and hinted at beeswax, gingerbread, and a well-stocked cigar humidor. It was soft on the palate and intriguingly long on the finish, and showed everything from spice cake and dried figs to grapefruit and chocolate and warm brown sugar. Finally, then, we had come to--and were appropriately prepared for--the Louis XIII Rare Cask, which, as these things so often are, was discovered entirely by accident. “These eaux de vie, they travel,” Trichet explained. “They go from one...cellar to another, and you have so many variables that can interfere. Some cellars are dryer than others,” for example, and that was probably just one factor that led, ultimately, to the special evolution of this one specific cask. In fact, when Trichet first noticed this cask, it hadn’t yet achieved its ultimate level of expression; it was, rather, full of promise, of potential. In order to nurture it, then, Trichet set it aside, isolated it, in order to allow it to evolve as clearly and completely as possible. It is unquestionably the single greatest spirit I’ve ever tasted. Swirling it and putting my nose in the glass brought to mind images of Alice falling through the looking glass: Aromas of white and milk chocolate, mushrooms, prunes, vanilla, spice, beeswax, sandalwood, and tobacco fluttered by and led to flavors that ran the gamut from prunes and figs to vanilla pod, more mushroom, and even a hint of mint. The finish blossomed with white peaches and flowers, as well as grapefruit, almond skin, and a hint of oxidative nuttiness. As impressive--and crucial--as the range and depth of the Cognac’s expression was its balance: It somehow staked out a position where the dried and cooked fruits were brightened up by pitch-perfect acidity, where the palate-coating richness still allowed the mouth to water, where the power was perceived as simultaneously elegant and impeccably filigreed in its detail. 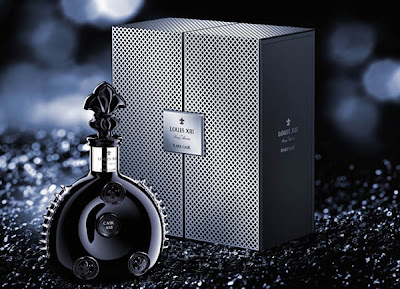 So in a wine world with no shortage of legends, now is the time to add another bottling to the pantheon: The Louis XIII Rare Cask is a worthy addition to that lofty company, and an absolute joy to drink. All it needs, really, is a one-name moniker that its fans can use to refer to it, and its transformation will be complete. Every other aspect of this Cognac, clearly, is very much in place.